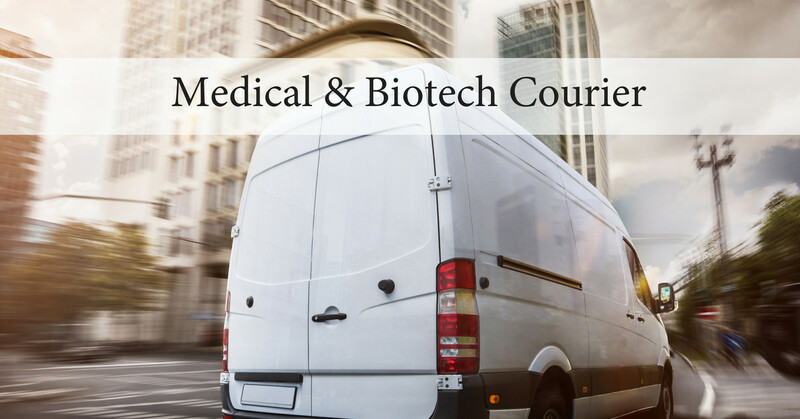 A medical courier is a delivery service that specializes in the transport and supply of urgent medical and healthcare equipment, samples or specimens. This can include urine, blood, organ and tissue transplant, and more. It’s no surprise that these items require special care and timeliness in their transport. Our medical couriers are experienced and tested regularly on the specific protocols for safe handling and transporting medical specimens. This includes knowledge of various CAP and HIPAA standards, as well as educating couriers on the importance of maintaining medical specimens at various temperatures, minimal transport times, chain of custody, and private health information security. Whether you are a small biotech start-up or a large health care provider with multiple laboratories, outreach clinics, hospitals, and patient service centers (PSCs), you need to send biological material to laboratories on a regular basis, correctly managing these complex deliveries is critically important. Contact us today to learn more about our trusted same day delivery, 24/7, 365 days a year medical transport services.